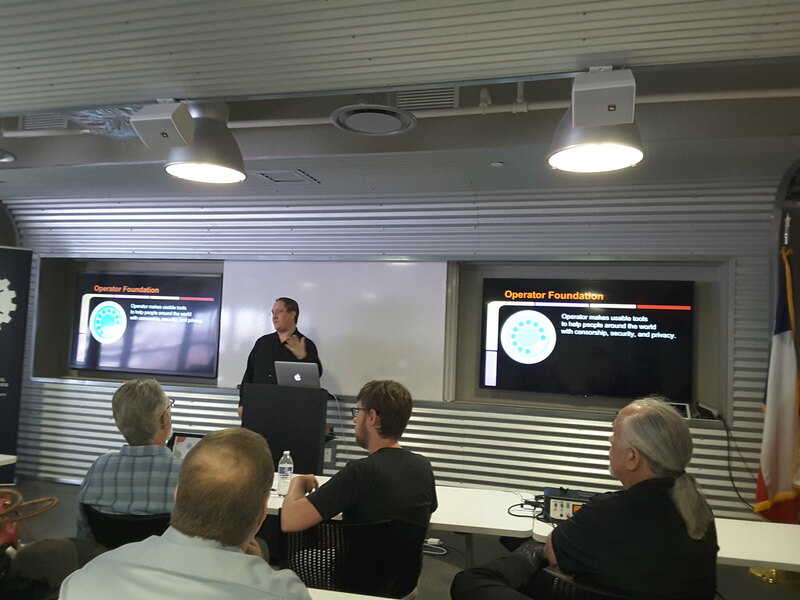 This week I saw Dr. Brandon Wiley speak at EFF-Austin. Both the talk and the Q/A were great and a video archive is available. Operator Foundation at EFF-Austin posted on 19 Aug 2018 .